So… you married a man with kids. Now what?! While you were dating, you may have thought that marriage would be a breeze. Maybe you weren’t very involved with the kids, with negotiations with their Mom, or with day-to-day parenting. Maybe your husband sheltered you from this. Perhaps he preferred you not be involved at that time. On the flip side, maybe while you were dating you had a front row seat to the blended family chaos. You saw exactly what the situation at hand was, and felt confident you could handle it. Or maybe you didn’t think you could handle it, but hoped it would get better with time. You don’t want to seem disinterested, but you also don’t want to come across as high-conflict. You’re conflicted, confused, and are seeking clarity… perhaps with a little help from your good friend Pinot Noir. Regardless of your situation, marrying into a blended family is a lot to swallow. If you’re a newlywed suddenly thinking, “What did I get myself into? !” then this message is for you! Just like in a new position at work, it’s best that you assess the situation before offering your opinion. If it was just you and your husband merging lives, you would be 50% of the equation in all decision making. Now, you are considerably less… at least in the beginning. You are merging your life with not only your husband, but also his kids who live between two homes, and have two parents who are used to being the only two decision makers for their kids. Rocking the boat too soon will inevitably lead to conflict and stress between you and your husband. 2. Don’t Try to Parent. Parenting should come naturally. It should not be something that you “try to” do. If you force it, it could come across as harsh, unnatural, or overstepping. Forget what you think a stepmom should be… just act naturally! Additionally, discuss with your husband how he views you in the parenting dynamic, and find common ground. It is imperative that you get on the same page as your husband early on to avoid conflict down the road. While observing, try to pinpoint areas in the new blended family structure that may be lacking, and consider filling the gaps. Are Mom and Dad both disorganized? Offer to maintain a shared family calendar for everyone. Do the kids need to be distracted on a trade while Mom and Dad discuss things? Showtime! Wherever the need is, think about how you can enhance the parenting team- not replace anyone who is already on it. 4. Make Time for your Spouse. In a blended family, it’s easy to forget you are a newlywed! Do not lose sight of that. When you don’t have the kids, be intentional in planning date nights. Affirm your husband regularly, and remind him you are overjoyed to be married to him. Despite having to merge your life with more people than just your husband, remember you are building a new, exciting life together! You are allowed to look forward to your future, and to the new, unique experiences you will share. As in any marriage, it’s important you don’t lose yourself. If the gym is a big part of your single life, do not sacrifice that just because you are married. If you need a monthly Taco Tuesday with your girlfriends, make it happen! Do you have a side business or new ambition you want to pursue? Do it! Speak to your husband, gain their support (which should be easy), and make moves! You’re a newlywed and a new parent, but that does not mean the hustle has to stop. Newlyweds, hang in there! 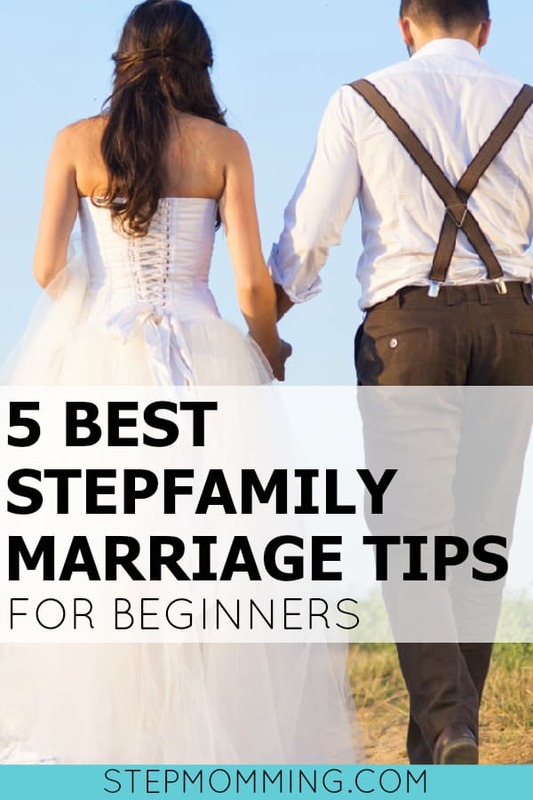 You are facing a different challenge than newlyweds without kids involved. Just remember that your journey being different doesn’t mean it’s any less special or exciting. If you are struggling to find your fit in your new blended family, I hope these tips help! Still looking for advice? Check out the 5 Habits of Healthy & Successful Stepmoms.